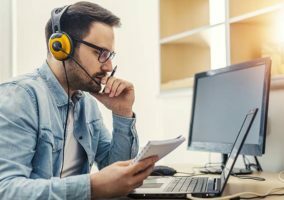 Here are some key pieces of advice for improving the quality of communication on live chat and providing better customer service. This is not a transaction, a letter from a lawyer or a set of terms and conditions, it’s a chat. So, it needs to sound like a natural conversation between two people. Ask advisors to think about what they would say when speaking to a customer face-to-face. According to Neil, a major problem that many advisors have is being too formal over chat, and he suggests inviting the advisor to consider asking themselves “would I say this at home?” before pressing Send. No one speaks like this. It is very formal, contains a lot of jargon and is far too long. Each of these factors makes the customer feel as though they are talking to a robot. It can be as easy for the advisor as typing what they would say on the phone directly into the chat window. Empathy is just as important on live chat as it is when speaking to a customer on the phone, but it’s something that’s easy to forget. The advisor who makes a comment like this is going to have to work hard to win the customer back, as they’ve missed a golden opportunity to show that they’re really listening to what is important to the customer. In fact, highlighted below are four key parts of the statement which Neil found issue with. Our – Why not “my” or change it to say “I”. By using the word “our” the advisor can be seen to be hiding behind the brand and not personally taking charge of the situation. Any – There is no doubt that this situation caused distress, but the word any suggests that the advisor might not really believe the customer. I require – Require is a really formal word, but it also sparks a sharp turn in conversation. Suddenly, it’s all about the company and the information needed to close this case down, before any real empathy is shown. Alighted – Alighted is a piece of railway jargon, which breaks rapport. Just as when building rapport on the phone, it is important to mirror the customer’s tone and demonstrate commonality on live chat. Using company jargon goes against this principle. This is a much better example and highlighted this time are the words and phrases that make this a great empathy statement. 3. Avoid Passive Writing – Stay Active! Politicians love to speak in the passive. “Mistakes were made” became a mantra of the Clinton US presidency and has been used by a series of politicians since to get out of sticky situations. Removing personal pronouns, like in the statement above, is essentially a tool to deny responsibility. So, while this may work in politics, it definitely should not be used in the contact centre. Using this logic, make sure advisors take personal responsibility for a customer’s issue and use words such as “I” and “you”, to ensure customers feel as though they have someone inside the business personally working to resolve their issue. Also, just as an advisor is encouraged to do on the phone, use active verbs to signal to the customer that their issue is a key priority to the company. Saying that “your contact is a priority” will likely irritate the customer, as they will realise the number of contacts an advisor takes each day and may think they are being lied to. So, an advisor should use active language to show them instead. For example, compare the statements: “This will be processed by [X]” with “I will ask [X] to process this for you”. The second phrase is clearly an improved version, with activity and personality. But how can advisors ensure that they do not cross from the active to the passive? 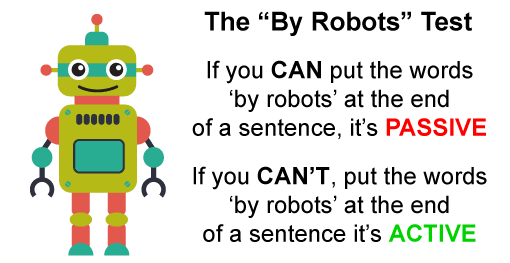 To do this, Neil Martin recommends the “by robots” test, which works by requesting that advisors review each sentence mentally adding the words “by robots” to the end of it. If the statement still makes sense, the words that the advisors have used will be in the passive voice. If they cannot add “by robot” to the end of each sentence, it is active and the advisor can press Send. “Your complaint is being investigated… by robots” – Makes sense, so it’s PASSIVE and should not be used. “I am looking into your complaint… by robots” – Doesn’t make sense, so it’s ACTIVE and can be used. “All complaints are taken seriously… by robots” – Makes sense, so it’s PASSIVE and should not be used. “We take all complaints seriously… by robots” – Doesn’t make sense, so it’s ACTIVE and can be used. As these examples demonstrate, the passive statements remove that sense of ownership and the active statements are more believable. Using customer feedback to improve service should be done across all contact centre channels, ideally using the same metric. This helps the contact centre track the performance of its advisors. But if the scores are fed back to the advisors, the team can self-learn, as they discover which techniques can help to reduce customer effort, for example, as is done in HomeServe’s contact centre in Walsall. So, on live chat, advisors can self-learn the best language, techniques and tricks to use on the channel. 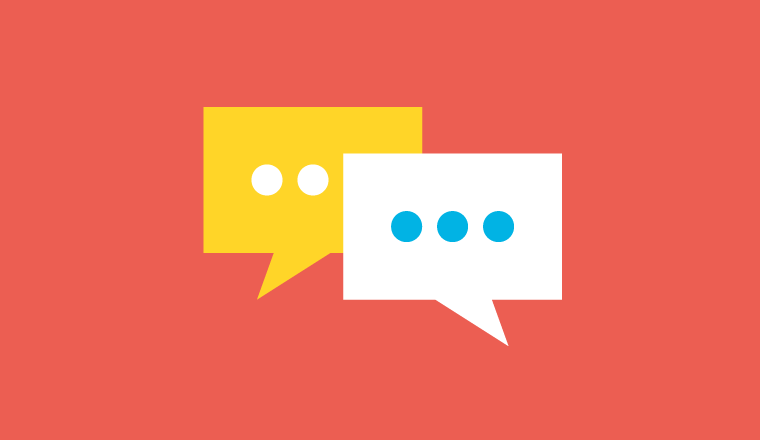 But what is the best way to run a customer feedback survey on live chat? However, the customer may feel awkward giving feedback directly to the advisor, and this could also produce biased results. So, the advisor could instead send the customer a link at the end of the live chat interaction to a site like SurveyMonkey, where they may feel more comfortable relaying honest feedback. This feedback can then be used by advisors to self-learn and by the contact centre to gauge any changes to customer satisfaction when a process has been altered on the live chat channel. 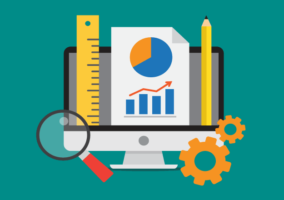 Personalisation is about understanding what the query is and trying to link it to something that the organisation already knows about the customer, which may sound simple, but is difficult to do in practice. So, the contact centre should look to keep track of previous engagements with customers, from how often they call to recent purchases and complaints, to make it easier for advisors to deliver a personalised interaction. In addition, advisors on the live chat channel can make a note when the customer reveals a piece of information such as “I have two dogs”, and log it in the knowledge management system. Then, during future interactions, advisors can casually mention that information to help demonstrate commonality and build rapport. As many companies are putting more into self-service and automation, the last thing an organisation wants is for advisors to become robots. So, it is arguably most important for advisors on the live chat channel to provide a personalised service, as while chatbots are starting to emerge on this channel, this is something that they cannot yet do. Don’t ask for too much information about the customer before they start a chat. This may put them off starting a chat to begin with. It is good practice to only ask their name to begin with. If more information is needed, this can be done later in the chat. It’s vitally important for a business to keep the conversation flowing in a personable way. Contact centres that do this often receive a lot of compliments for never offering canned robotic responses to their customers. So, try encouraging live chat advisors to treat all customers like they would a friend! Try to hire the right personalities to work with live chat. Don’t allow the live chat team to hide behind the screen by writing responses formally, as if writing a letter, allow them to be themselves! It may also help to keep teams on live chat for shorter periods of time to keep the conversations fresh and the chat advisors fresh too! Just like when building rapport over the phone, mirroring language on chats is always a good way to talk with customers. Also, on live chat, a good principle to have is that if the customer uses emoticons, for example, then we do too! To increase live chat take-up, make it the most prominent/visible onsite channel for customers to contact. If the contact centre wants customers to move away from email, let them know with an onsite message that email queries take longer to respond to and therefore resolve. Obvious I know, but it’s working for us. What other best practices would you recommend on the live chat channel? Please leave your suggestions in an email to Call Centre Helper.